A plain and blank home is boring. It doesn’t inspire creativity, and it will not make you want to spend time in it's various rooms. 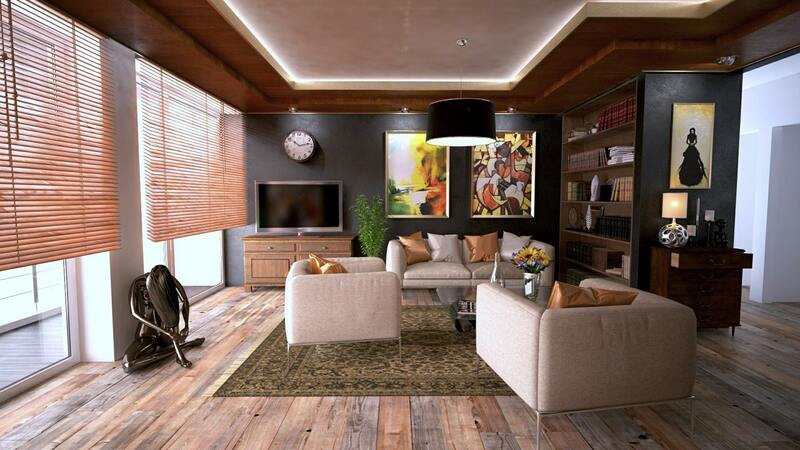 However, interior design for your home requires more than just functional furniture. Putting up décor in your home will give you a sense of comfort. There isn’t an order of importance when it comes to home accents; there are several that will go a long way to brightening up an otherwise dull room or home. For instance, a fun abstract painting will instantly add some character to any room it is placed in. There are some accessories which are meant to act as statement pieces, while others are functional or provide a sense of comfort. Below is a list of a few home accessories that will benefit you and your home. It’s common knowledge that plants produce oxygen. In addition to being essential for human existence, plants make beautiful ornaments. Depending on the plant you purchase, it will require different types of soil, levels of light and amount of water. If you don’t have a pet, plants are great additions to your home that you can care for, plus plants will benefit your air quality. In addition to plants adorning a space, you will also need to get into the habit of cleaning house plants. If the plant is real, you will need to be gentle and can clean your plant by spraying the leaves with a cleaner such as Lemon Oil. Be tender with your plant. If you decide that living plants are too much maintenance for your lifestyle, you can opt for faux plants. These, too, require cleaning every so often. Know the difference between silk plants and plastic plants, as while plastic can get wet, silk cannot. Vases are a beautiful addition to any table or countertop. You don’t need an expensive vase either. Consider going thrifting to find a unique vase you would like to adorn your table with or place on the mantlepiece. It acts as a lovely holder for fresh or faux flowers. A bonus to filling them with real flowers is that they will make the room smell great, too. It’s a décor piece and room freshener in one (once filled with flowers!). 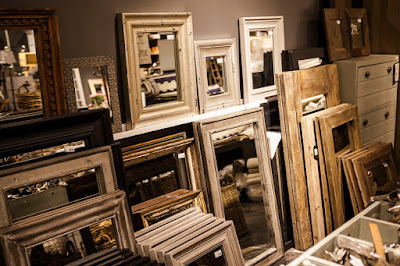 Frames can be placed on either the wall or on your table. Think of frames as memory holders; fill them with pictures of special moments, family and friends. Instead of painstakingly trying to choose what color to paint your living room wall, put up a picture frame instead. It will fill empty space and add the desired pop of color in the room. A picture frame can also hold artwork. Art adds character to any environment. Art is ubiquitous as it can be found everywhere in our everyday lives. People are surrounded by art. Art includes paintings, music, photography, and anything that came from people’s creative imaginations. Take a walk in the park, and you’ll stumble across a few sculptures. Having some form of art as décor in one’s home will further instill a sense of creativity. In addition to this, a big painting placed in your living room can be a source of mental stimulation. No matter what you do in your day-to-day life, everyone goes home at the end of the day. Having art is just as important as having a kitchen table to sit at and spend time. These types of embellishments can boost anyone’s mood. Play some music on your record player, or stare at a painting you hung up for inspiration. The options are limitless, so consider going out on the weekend looking for art pieces to hang in your home. Every home, no matter how big or small, needs mirrors, so why not include some funky mirror pieces while you are at it? Plus, mirrors will keep you looking smart. If you’ve just finished eating a meal that is rather messy, you might look in the mirror to make sure there is nothing on your face. Or, you will look in the mirror to smooth your hair from frizz. Additionally, hanging mirrors across from windows can maximize the amount of light a room receives thanks to the reflection. At the end of the day, mirrors can boost the appearance of a room. That does not mean you should fill your walls with mirrors, unless you want to, but rather including a tasteful mirror here and there to grow a room's appeal. 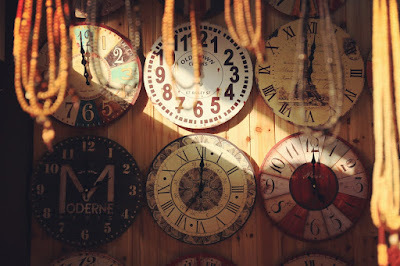 Include a clock in your home. People have been keeping track of time throughout history. For instance, Stonehenge was used to time the sun and moon’s celestial events. Jumping slightly ahead from Stonehenge, sundials were another popular method of keeping time. Come the 21st century; we have clocks and even smart, tech-infused watches. Taking the watch that is on your wrist out of the equation in this instance, everyone should have a clock in his or her home. Once again, it will make a great décor piece but is also functional with telling what time of the day it is. A lot of people aspire to have a cozy home. Some of the décor items previously mentioned will go a long way to creating this comfy home, but no couch or bed is complete without pillows and cushions that adorn it. Not only are cushions delightful in their comfort, but they can also be used to complete the look of your bedroom or living room. For instance, if you have a beige couch, consider adding some blue pillows to make the couch pop. Pillows are at the forefront of a curated interior design. They act as both decorative pieces and comfortable cushions when watching TV or working on the couch. These home accents create a beautiful and comfortable home space. Adding a mix of functional and decorative pieces will give your home some extra dazzle. Practice your creative streak by learning more about interior design and adding home décor to boost a room’s aesthetics. Once you are finished, both you and any future guests will appreciate how everything has come together to create your unique home space.